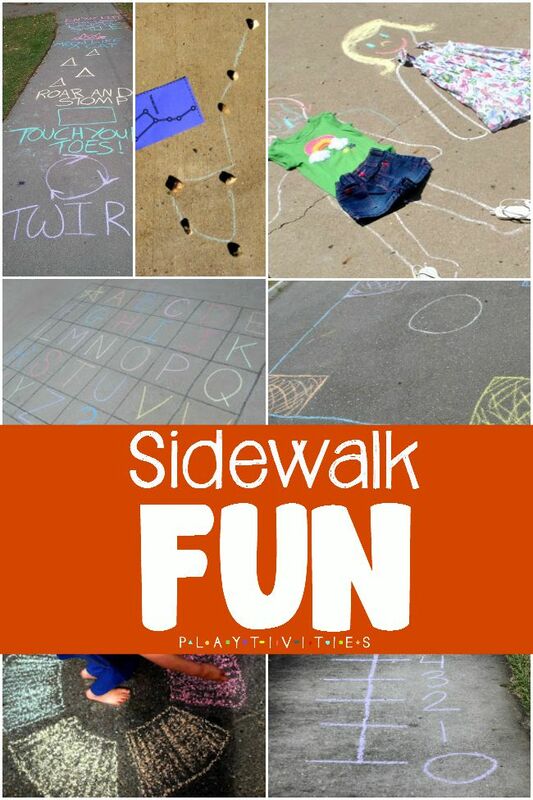 Today we are sharing our favorite sidewalk chalk games. Here is why we adore them. I have discovered this over and over again – for kids to have a good time we – parents – don’t have to break a bank and go all out to provide some fun for our kids. Most times – the simple activities and games are the favorite ones. And often they happen either in the house or right outside, on your sidewalk. 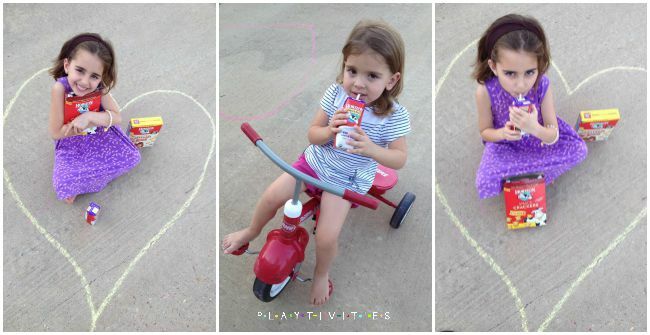 Sidewalk chalk games are one of our favorite activities to do when weather allows to play outside. There are so many opportunities not only to play but also to learn. Learning through play is what we love most. One of our favorite sidewalk chalk games is what my daughter calls it happy game. We first got this idea from Matty Angel. It’s very customizable to your child’s needs and likes. To play this game you need to draw a hop with different tasks such as “Meow like a cat”, “Laugh”, “Smile”, “Tell a joke”. No matter how bad the day has been this sidewalk chalk game always fixes the mood in our house. Do you want to teach your child how to spell his name? Try this “I can spell my name – hopscotch game”. This is how Sofia learned to spell her name. Corners is another fun sidewalk chalk game. It’s a fun game to get moving, and you can adapt it to practice almost anything – colors, numbers, shapes, letters, sight words. 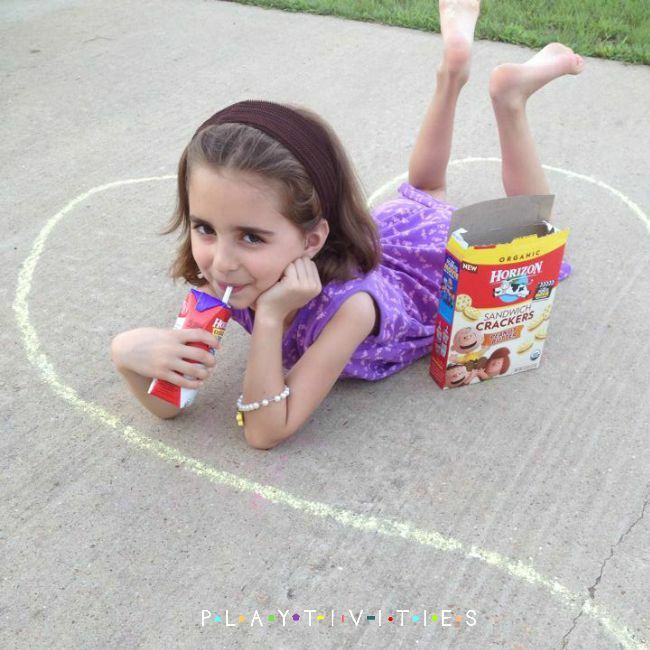 Play constellation art with rocks and sidewalk chalk to teach kids all about constellation. Dots and boxes is a perfect boredom buster to play on the sidewalk. Do you remember game “Simon”? Well, one family figured a way to play this game on the sidewalk with the help of chalk. Genius idea! Play dress up on the sidewalk! My daughter loves this game and she could play this for hours. Learn and practice letters with this alphabet hop. Find out the rules to make this game super fun and educational. Let’s not forget numbers and counting. Play the math game on the sidewalk to let the numbers run.